Baan Chai Talay Hua Hin Apartments is one of Hua Hin's larger and best-maintained beachfront family-friendly condominiums with an amazing 300 m interconnected pool with draw bridges that runs all the way to the beach. Located some 4 km from Hua Hin town, in Khao Takiab area, it shares the same beach front as world-class hotels and is a pleasant 5 minute walk to Cicada market which showcases original artist's work. The apartment units are larger than many new condominiums and has a multitude of facilities that are perfect for the whole family such as tennis courts, squash courts, fitness room, table tennis table and children's play area. In front and around the condominium, you will be able to take a bus service, there's convenience stores (Tesco Express and 7 11) and other restaurants or cafes. All buildings within compound are serviced by lifts. a.) Prepaid Wifi (per person) for use in the lobby area only. Please note that we do not provide housekeeping services for this condominium, and there will be an extra charge for cleaning and laundry during check out. Refer to apartment details page. Before embarking on your trip, please print out this email and attached confirmation voucher, which will be used for the check-in process. 1. Pick up the room key at the Hua Hin Stay office (click here to see map). 31/47 Petchkasem Rd. Hua Hin soi 83, Nongkae Hua Hin, Prachuapkirikhan. You may call 0814869009 if you have trouble finding the office. Fill in a form to provide your personal details. Pay a refundable cash deposit of THB 2,000 (if staying up to 7 nights) or THB 5,000 (if staying more than 7 nights). This is to cover the cost of the key, car park card and damages, and will be refunded in cash during checkout. You will then be presented the room key. 3. With the room key, head over to Baan Chai Talay and present the key at the reception desk to find out your room’s location. Rent a Holiday Apartment for Daily, Weekly, Monthly Stays in Hua Hin, Thailand. 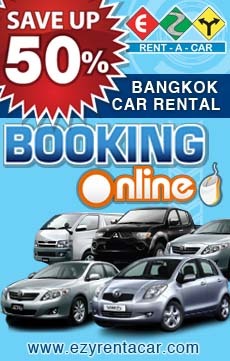 Perfect for Short-Term and Long-Term Hua Hin Holiday/Vacation. eg "MRK-CA-11A" or "Roses R Red"